So Aldwyn and I were talking last night and I mentioned that a long time ago, there used to be a place in SL that did pizza deliveries. I know, right? But you’d IM whoever was on duty and then they’d show up at your door with a pizza. 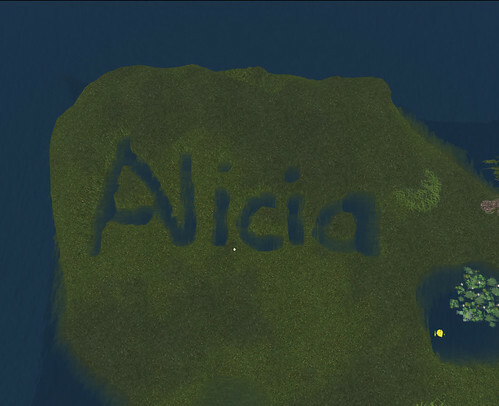 I was curious to see if the place was still in SL. I don’t think that it was, but I did find another pizza place and we went off to check it out and ended up on mainland. But not just mainland. It was like the mainland that someone forgot. I mean, look at this. Oh, and might I just add that HE pointed this shop out to me? I was busy looking at pizza and bears. 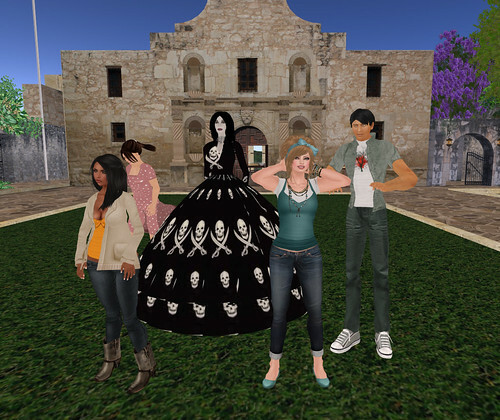 During this time, he mentioned that he’d never been to Da Boom, Second Life’s first sim. Well, no one should ever be in SL for years without having been to where it all started, so we went off to check it out. 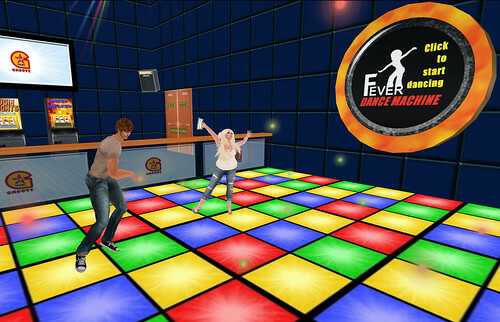 While we were running around, we wandered into a neighboring sim and into a marvelous dance club. None of the dances in that dance machine were made after 2006. Hell, maybe even 2005. We did the classic noob dance. You know the one! You touch each opposite foot and then turn around in a circle kind of shaking your hands. Fab! I don’t know how this place wasn’t more crowded!! It was really fun to get to explore these old old places with him. We didn’t meet until 2009, although both of us have been in SL for years, so it’s really kind of fun going back to these super old sims and places so that we can both be “noobs” together. I think next time we get a chance to go exploring, I’m going to take him to the big beanstalk and we’ll see who is the better jumper. I think it’ll be me! So when I was getting dressed today, this kinda wasn’t the look I was going for. At least my glasses are hot. A few days ago I heard about the whole “new user experience” thingy that was going on. Being curious about the new arrival point, which only newbies and Lindens can get to, I decided to go “undercover” as a new resident. And so, Belle Chelmsford was born. 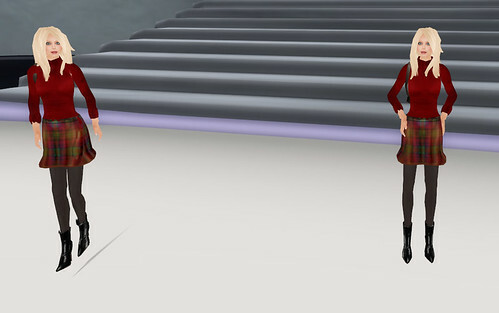 As you can see, the new avatars are LIGHT YEARS away from what most of us had to work with originally. No texture sandals and system hair for these kids! Hell no. Belle appeared on the scene in cute hair, great skirt, and prim boots. The people around her were similarly dressed. Well, similarly when they’re rezzed. I went through the tutorials and such. I actually came away with a slightly better understanding of Viewer 2.0 afterwards. In a month, we will have people here in SL who know NO other viewer. Are there places where older residents can go and get help like this for the new viewer? One thing I actually don’t like about Viewer 2.0 [well, one of many things] is that there is no fly button. It’s superficial, but I just LIKE having it. The tutorial part is pretty quick and before you know it, you’re shipped off to one of the Discovery islands. I guess they’re all the same – basically a large mall type thing where you can find some freebies. I found my twin. I don’t know. It didn’t seem like a better “first hour experience” to me, honestly. You still end up here alone. There are no mentors or anyone to help you out. It’s very…clinical, in a way. The arrival/orientation place is not exactly warm and welcoming. The Discovery place is about the same. We need mentors – REAL ones, not ones that sign up and then never go help or go out there and do stupid stuff to mess with new residents. It needs to be a lot more welcoming. 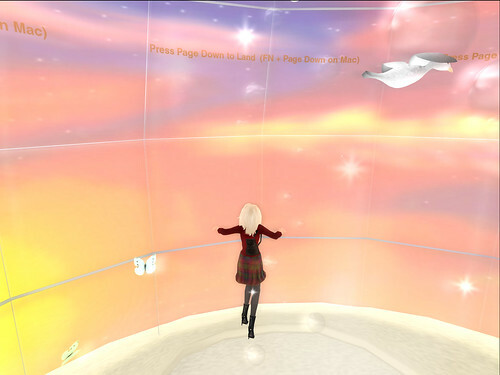 But in the end, if you’re interested in Second Life, you’re going to stay. You will find your way and your niche. If you’re just passing through, then it probably doesn’t matter what your first hour is like or not.